It's a Sunday afternoon, and normally I would be uploading a 'My Week in Pictures' post right now, but sadly I haven't taken any pictures this week (in all honesty, I haven't really done anything photo-worthy) so something else will have to do, and I have to admit that it's rather exciting. 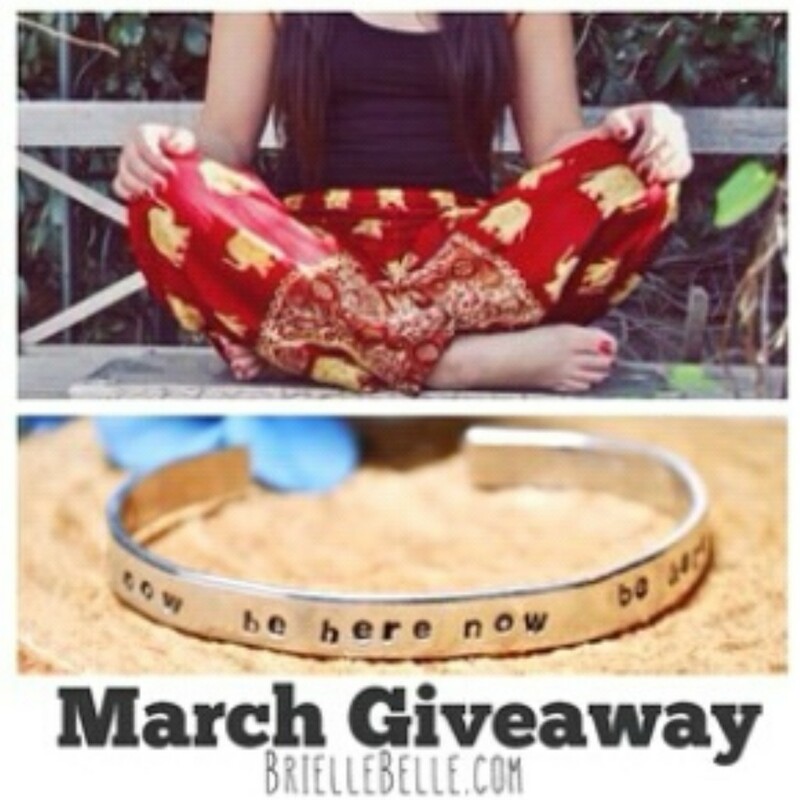 A couple of weeks ago I mentioned the BrielleBelle giveaway I had entered, and I'm delighted to say that on Monday I received an Instagram notification from Brittany, the lovely lady behind BrielleBelle, telling me that I had been chosen as the winner! I was absolutely over the moon - I adored the items that were up for grabs and as there were over 1000 entries I really wasn't banking on winning, but here we are! The items should be here within the next two to three weeks, and once they've arrived I'm going to write a little post about them. For that reason I'm not going to say too much about the items or Brittany's shop right now, but in the mean time you can check out the shop here, her Instagram here and her Facebook page here. It's half term this week and next, so hopefully I'll have more to report next Sunday, but until then feel free to take a look at the review I posted earlier in the week of Lush's 'Emotional Brilliance' face powder.